The West Coast festival season throws a last hurrah each year squirreled away in plain sight in the middle of the San Francisco Bay. Accessed via one of those rare left-hand exits off the Bay Bridge, follow the passageway through the forested hillside of the petite Yerba Buena Island and across the isthmus to a man-made mass dubbed Treasure Island. Organized by legendary tastemakers Noise Pop, the 2013 lineup for this year's "Festival in the Bay" is stellar, to say the least—kudos. With just 13 acts per day sharing two stages over the course of a weekend, the Treasure Island Music Festival consistently features artistically diverse, in-demand artists, making it the epitome of a well-curated festival. If you're feeling extra ambitious in the nights leading up to fest, TIMF also hosts night shows including a Friday gig featuring a double dose of PDX talent when the 11-piece orchestral indie rock of Typhoon and Wild Ones' lilting, breezy, electro dream pop share The Independent's stage on October 18th (doors at 8:30pm, show 9pm, 21+, $15 advance, $17 day of show). As for the 26 acts playing the island on Saturday, October 19th and Sunday, October 20th, there's something favorable to be said of just about every single act at this year's fest (including the bevy of DJs playing Silent Frisco sets), but in the interest of time, here's the choice performers that OMN is most excited to see and highly recommends that you catch as well. 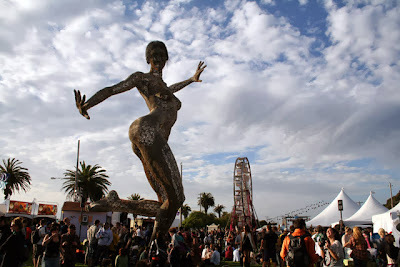 Get the rest of OMN's picks for Treasure Island 2013 in San Francisco.